Since I was a child, I’ve always known that Bugs Bunny is simply the coolest cartoon character ever created. He’s smart, witty, handsome, and doesn’t take bull from anyone. He’s also been around for 60 years. How does he stay so young looking? I guarantee you, it’s all those carrots he eats. Fighting infection (vitamin A keeps cell membranes healthy, making them stronger against disease-causing microorganisms). In addition, phytochemicals, found in vegetables, fruits, and nuts, may reduce the risk of strokes, hinder the aging process, balance hormonal metabolism, and have antiviral/antibacterial properties. 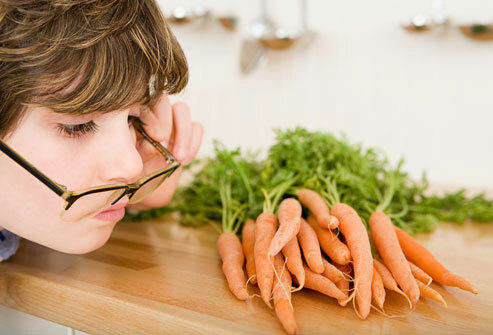 Cataracts (particularly true of beta-carotene and phytochemicals). Macular degeneration (the macula is a part of the retina at the back of the eye). Celiac disease (defective digestion found in children). Vitamin A helps normal cell reproduction. When cells do not reproduce (differentiate) normally, they are vulnerable to cancer. This is one of the most important reasons why carrots should be part of our diet: they help fight cancer. Beta-carotene and phytochemicals are also believed to lower the incidence of cancer, adding to the cancer-fighting power of carrots. They seem to work especially well on lung, breast, prostate, spleen, and pancreatic cancers. Menorrhagia (abnormally heavy menstruation). One cause of this is a vitamin A deficiency. Abnormal pap smears. Women who have had abnormal pap smears have shown to have low levels of beta-carotene and vitamin A (as well as vitamins E and C). Premenstrual Syndrome. Vitamin A increases progesterone levels, and progesterone is believed to relieve PMS symptoms. Vaginitis. Because of beta-carotene’s and vitamin A’s immunity-boosting, antiviral, and antibacterial properties, carrots help fight off some types of vaginitis. Urinary Tract Infections. Again, vitamin A is helpful for infection control. Osteoporosis. Thanks to the phytochemicals, carrots are a great way to fight against this disease—which affects older women, in particular—and results in decreased bone mass. If you suspect you may have any of these problems, please consult your doctor. 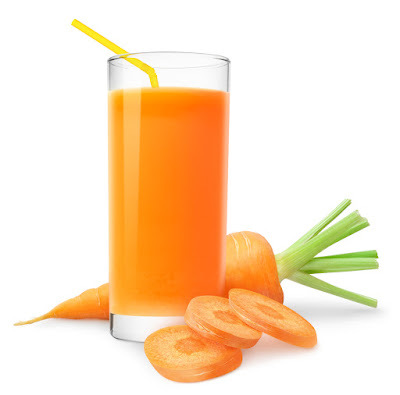 As a member of the parsley family, carrots go back to the ancient Greeks, who used juiced carrots medicinally. But carrots weren’t actually eaten as food (except as fodder for horses) until the 12th century, when the Spanish took to eating them with oil, vinegar, and salt. Originally from Afghanistan, carrots have come in purple, white, red, yellow, and, of course, orange. Holland introduced the first orange carrots in the 1600s. The Spaniards brought carrots to the New World, to Margarita Island, in the 1500s and then English settlers brought them to the U.S. in the 1600s. Today, China is the world leader in carrot production with the U.S. coming in second. What do you look for when purchasing carrots? It’s better if they have their green tops because that means they are fresh, but the leaves draw moisture out of the root part, so when you get them home, cut off the green tops to ensure longer life. The leaves should be fresh looking and bright, not wilting or browned. The roots should be firm and bright. Store them in the refrigerator, away from apples and tomatoes (they emit ethylene gas and cause carrots to deteriorate quickly). Amazing difference, isn’t it? 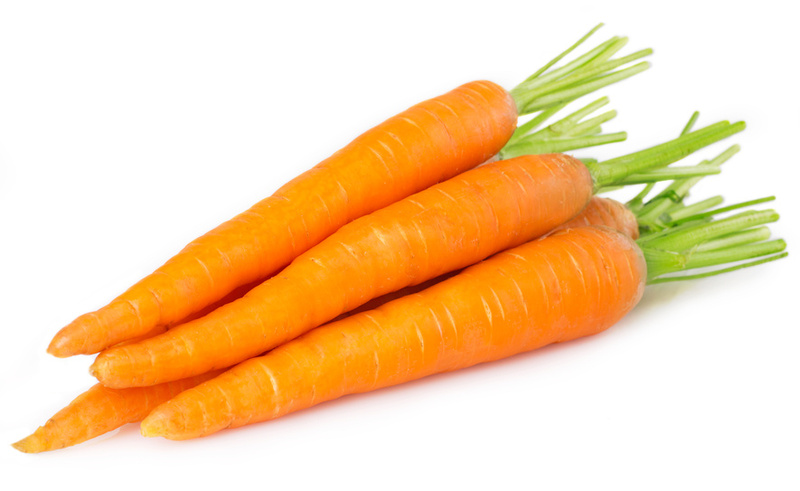 Carrots are also a good source of thiamin, riboflavin, niacin, fiber, and some iron and protein. You don’t want to eat more than 3 or 4 carrots per day, though; your body can only store so much of any one thing and if you give it too much vitamin A, your skin may take on an interesting orange tint. 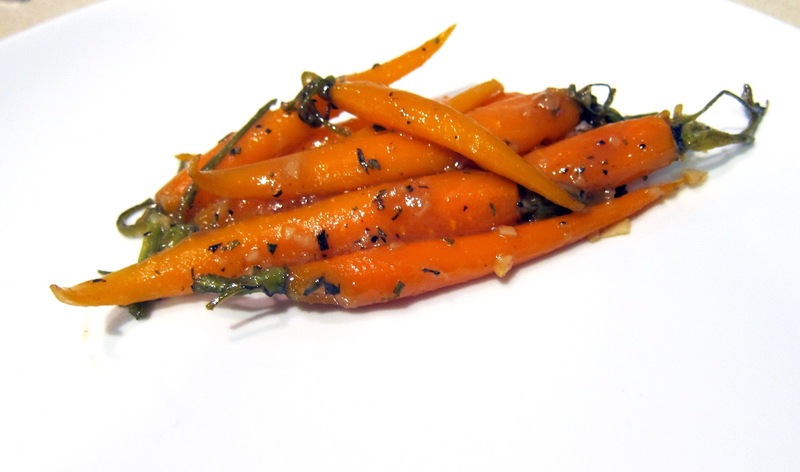 Many people find carrots boring or bland. But it’s all in the preparation. You don’t have to boil carrots and slather them with butter. No, no, no. There are so many ways to enjoy carrots. One of my favorite ways is to fry them. While frying is not the healthiest way to cook, frying brings out the carrot’s natural sweetness. 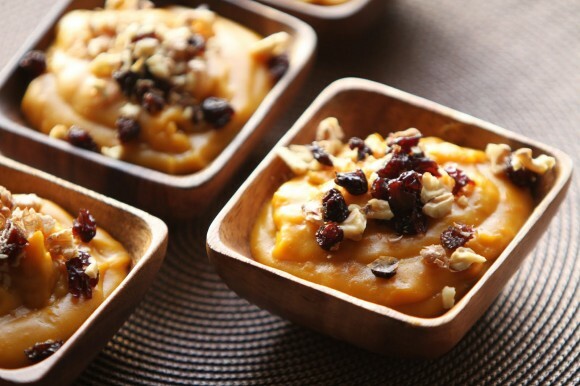 (Irish poets once referred to them as “underground honey.”) Below are 4 great recipes for you to try and, as you will see, they’re far from boring. Also, for more interesting facts and information on carrots, visit Grimmway Farms at www.grimmway.com. The site is dedicated to carrots. They have a line of carrot products, including carrot chips and carrot snacks for horses, as well as recipes, like the carrot-mango salsa below. If carrots are good enough for Bugsy, they’re good enough for me. In the bowl of a food processor fitted with the metal blade, or an electric mixer fitted with the paddle beater, beat the egg yolks and sugar together until light and fluffy. Alternate additions of small amounts of butter and small amounts of flour, until all are incorporated. Add carrots and cheese. Pulse to blend. Pour into bowl and fold in baking powder. Cut carrots into 1/4-inch-thick matchsticks and in a steamer steam over boiling water, covered, until tender, 4 to 5 minutes. In a bowl stir together remaining ingredients and salt and pepper to taste and toss with hot carrots. Serves 2. Preheat oven to 400̊F. Spray large rimmed baking sheet with nonstick spray. Arrange onion, tomatoes, carrots and garlic cloves on prepared baking sheet. Drizzle with oil. Sprinkle with salt and pepper. Roast until vegetables are tender and brown, turning occasionally, about 55 minutes. Cool slightly. Peel garlic cloves. Transfer vegetables to large bowl (do not clean baking sheet). Add 1 cup water to baking sheet, scraping up browned bits; add to blender, then add half of vegetables and puree until smooth. Transfer to large saucepan. Add remaining vegetables and 1 ½ cups water to blender and puree. Transfer to same saucepan. Gradually add enough milk to soup to thin to desired consistency. Stir in 1/4 cup basil. Simmer 10 minutes to blend flavors. Season with salt and pepper. (Can be made 6 hours ahead. Cover; chill. Bring to simmer before continuing.) Ladle soup into bowls. Sprinkle with remaining 1/4 cup basil and serve. Makes 6 servings. Combine all ingredients, stirring well for about l minute until juices come out and flavors blend. Chill for l or 4 hours, if possible, to further develop flavors or serve at once warmed or chilled as a condiment with grilled shrimp, chicken or fish. Makes about 3 cups.